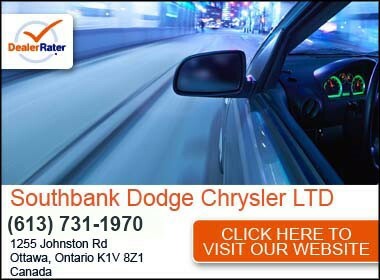 Your #1 Dodge Chrysler Jeep dealer in the National Capital Region Southbank Dodge was founded in August 1974. Since then, our loyal customers have enabled us to expand our operation to become the largest volume Dodge Chrysler Jeep dealer in the Ottawa region. The pride held within myself and the entire Southbank staff is what has allowed us to suceed and continues to motivate us to exceed our customer’s expectations. 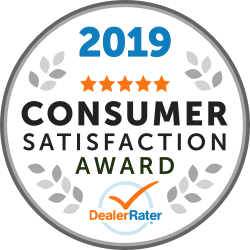 I am proud to say that not only is Southbank Dodge the number one Chrysler Dodge Jeep dealership in Ottawa, but we are Five Star Certified by our customers. Customer satisfaction has always and continues to be our number one priority. I am proud to offer you not only an exceptional line up of vehicles to choose from, but an incomparable service and parts department that will ensure that your vehicle is impeccably maintained. On behalf of the entire Southbank staff, I would like to say thank you to our clients; whether you are a long-time customer, or new to the Southbank family, I promise that we will continually strive to earn your business. "Good salesman and great service"
"Such an amazing experience I returned and bought another!!" A few weeks ago I stepped into the most amazing car buying experience while purchasing our family's new 2018 caravan.. Brandon our salesmen was amazing and worked like crazy to meet our demands. Now... 2 weeks or so later... figured I would try my luck again and sure enough Brandon and his team blew it out of the park yet again!! I cannot say it enough, the no pressure attitude and the willingness to offer you as many options possible to meet your needs really makes southbank dodge an amazing place to buy a car!! "Buying my new Jeep hassle free"
I typically hate or better yet detest going to a dealer. I found an advertised discount for a jeep at an out-of-town dealer and I decided to ask this dealer is they would price match to save me a journey. No problem they said. Just bring in the advertisement. I went in and Robbie El-Khouri was my sales guy at Southbank dodge. Robbie was a refreshing change to the to any sales people I have dealt with in the past making my experience a super positive experience. Rami the Finance guy was pretty good too and was amazing to accommodate my request to have my new jeep ready to go the same day which I'm sure was a bit of extra effort. Love my new jeep and really happy with the no hassle no b.s. sales at Southbank. Cheers.